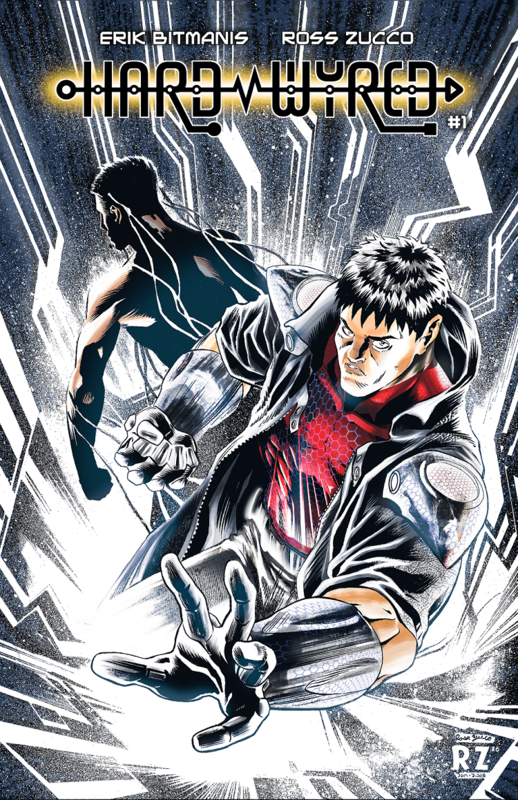 10 questions about digital comics with the writer of Hard Wyred – out on Kickstarter now! My name is Erik Bitmanis and I am a comic writer. 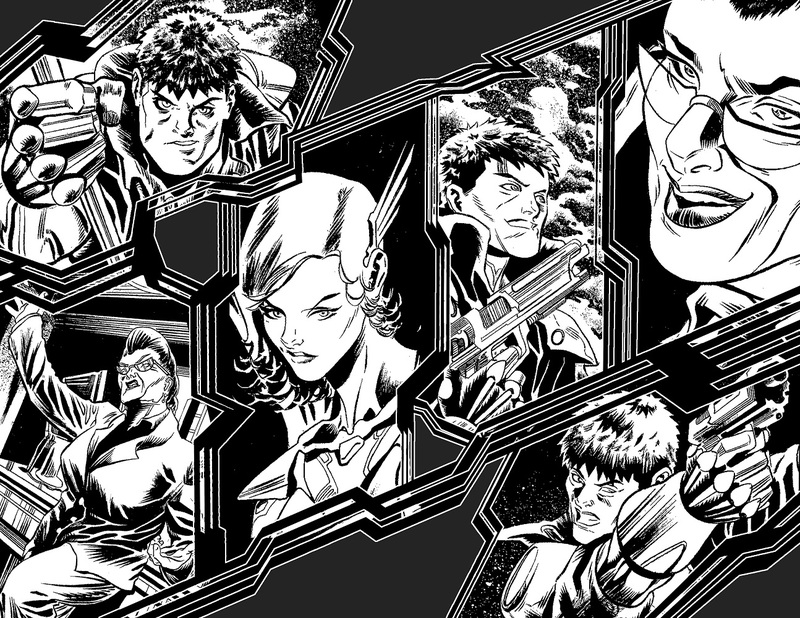 My current project is Hard Wyred, which is a cyberpunk/action comic series that is currently on Kickstarter. What drew you to digital comics? I originally began writing by writing movie screenplays and I always wanted to make a big budget, like $500 million dollar movie, but without any Hollywood clout it’s kind of an impossibility right now. Instead I went into writing comics and discovered I could do everything I would want in a movie but it’s only limited to an artist’s drawing ability. I’ve really taken a shine to the medium, and I’m hoping to keep contributing to it in anyway I can. Depends. I’m a huge fan of webcomics for daily entertainment, but I don’t specifically look for them when I’m craving a more engrossed story. Digital comics is where I go for that and I often find the stories to be of a higher quality. What do you think works with digital comics? I imagine anything. Digital comics are pretty open with any genre able to step into the ring. Can digital comics replace print comics? Not entirely. I’m one that love the tactile feel of holding and reading a comic book, but storing physical books becomes a task in and of itself once you get a bunch of them. Digital makes things a great deal easier, but there will always be those comics that I absolutely love and will have in print. How can print comics work with digital comics? I personally think they already are. Looking at market numbers it seems that digital comics are additive to print instead of cannibalizing sales. I believe digital opens up to a wider market that may not have access to these print copies which is why it is trending this way. In terms of working in tandem, I think physical copies of books should come with a digital code for a downloadable copy, much like how Marvel is doing at the moment. What don’t you like about digital comics? The one thing I don’t like, or am worried about digital comics, is the fact that many of them are owned or run through DRM services. I love Comixology, but if anything were to happen to that service (it’s owned by Amazon so not likely) I would lose all those purchases I made. Also, digital have no re-sale value, unlike physical. What digital comics/webcomics do you read? Where do you see digital comics going from here? I see digital continuing to expand. We see some of the top industry creators dabbling in it, much like how Brian K Vaughan did with Private Eye. With crowdfunding the business model of digital has changed slightly, and I can see it further evolving into something else in the next few years, but nevertheless it will be growing. I think Instagram will be one of the driving factors of promoting webcomics to audiences who might not always see them, so I’d watch for that. Who do you think we should look out for in digital comics? Australian writer Ryan K Lindsay. He’s making some great stuff and will be getting his first big print run with Black Mask. All of his stuff is available digitally. Also, my buddy Jamie Me from the UK is going to be putting out his second issue of his series Queen, and the first one was really well done, so I’d be watching for that as well. 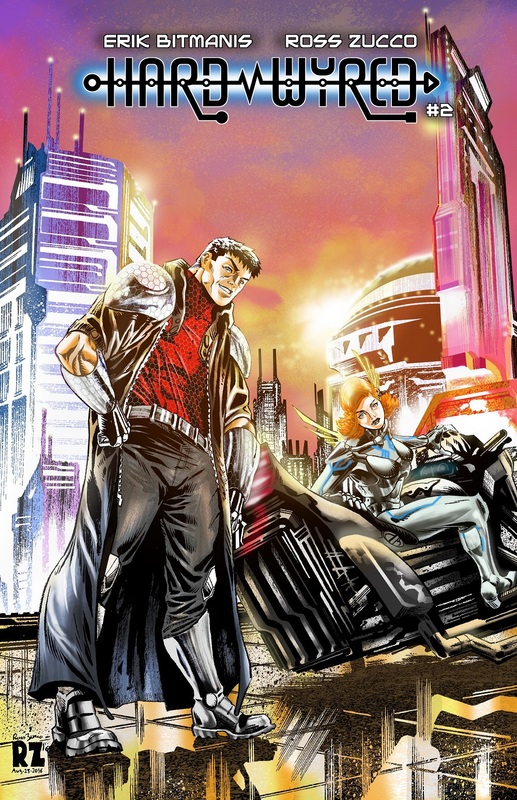 Both creators will have their books available digitally. Thanks to Erik and good luck with the Kickstarter! Digital Comics On comiXology This Week: Power Rangers, The Wild Storm & More Sales!